Unless you are planning to breed your French Bulldog, you should definitely sterilize him. When it comes to males, neutering them while they are young will prevent potential aggressive behavior (Frenchies are not generally aggressive, but some of them are) and it will also help them sustain a healthy prostate and reduce the possibility of getting testicular cancer later in life. When it comes to Frenchie girls, spaying them before their first heat will reduce the possibility of getting breast cancer and they will be less prone to uterine infections. If you are a breeder, it is also advisable to sterilize all dogs that are not good breeding material. Take your furry companion for a regular health check up. 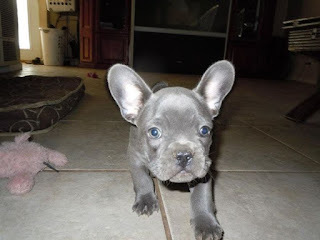 French Bulldogs have quite a few health issues, so it is important that you take him to a vet from time to time for a complete health examination. You can also check the condition of his skin, eyes, ears, nose, teeth and gums for any abnormalities. Regular vaccinations and treatment against parasites and heart worm goes without saying. Keep your Frenchies teeth clean. You should brush your dog’s teeth at least every other day and always use a pet tooth paste. Make sure to brush all sides of his teeth. The whole process should take about 30 seconds. If necessary, from time to time you can take your Frenchie to a veterinarian for a professional teeth cleaning. Try to avoid using anesthesia during the procedure, because it may cause respiratory problems. Since most Frenchies are calm and easy going, this should not be a problem. Keep your French Bulldogs weight under control. Feeding your dog as natural food as possible, which means fresh meat and vegetables and very little grains, will not only help him be more slim and healthy, but it will also prevent your dog from developing breathing problems and swollen abdomen. 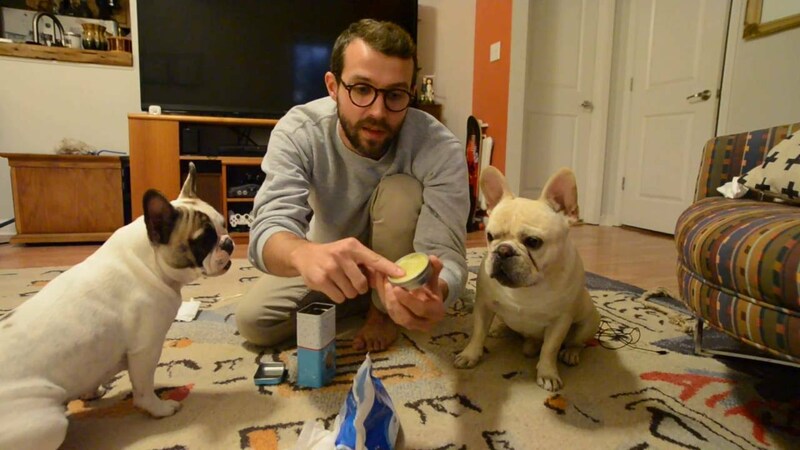 Oh, and… I forgot to mention that French Bulldogs who eat too much processed food tend to fart a lot! At first you may think it is cute and funny, but you generally want to avoid that situation. So…, there is one more benefit from natural nutrition, right?Take your dog for a regular walk. Natural nutrition is one part of the deal and moderate physical activity is another, for keeping your Frenchie slim. Luckily for you, they don’t need very much exercise to stay in good shape.Too keep your dog’s coat nice and shiny, brush him at least once a week with a rubber brush or a grooming hand, to remove all the loose and dead hair and prevent it from piling up on the floor of your apartment. Although his face folds and wrinkles below the eyes and around the nose are among the features that make French Bulldog so cute, they are also a place where dirt, moist and bacteria can stick around even after a bath, so those areas demand special care. Make sure to wipe them with non-allergenic antibacterial wet wipes from time to time, to keep the area clean.French Bulldogs grooming regiment is very simple. You can bathe him once a month or at least once every two months, depending on how much he gets dirty. Make sure to use dog shampoo for sensitive skin and don’t forget to wash the area around the nose and ears. You can also trim his nails once every four to eight weeks, depending on how fast they grow. French Buldog’s Achilles heel is his sensitivity to high temperature and humidity. Since they are brachisephalic breed, they have trouble regulating their body temperature on hot weather. So, whenever outside temperature climbs above 25 degrees Celsius, don’t let your dog stay outside for too long, especially if he is running or playing. Otherwise, he may literally overheat and die.